Interactive Investor Limited (Company number 04752535) is a privately owned company which owns and operates a number of different companies, including Interactive Investor Services Limited; and Moneywise publishing (which publishes both Money Observer and Moneywise). The Interactive Investor group is 100% equity funded with no external debt. With net assets of over £100m it is one of the largest retail brokers in the country. The group is majority owned by J.C. Flowers & Co. a leading private investment firm, with approximately $15 billion of capital invested and investments in 49 banks and financial companies across 16 countries. In the UK the group operates an execution-only broker service under the interactive investor brand name, looking after over £21bn of assets on behalf of 300,000 customers. 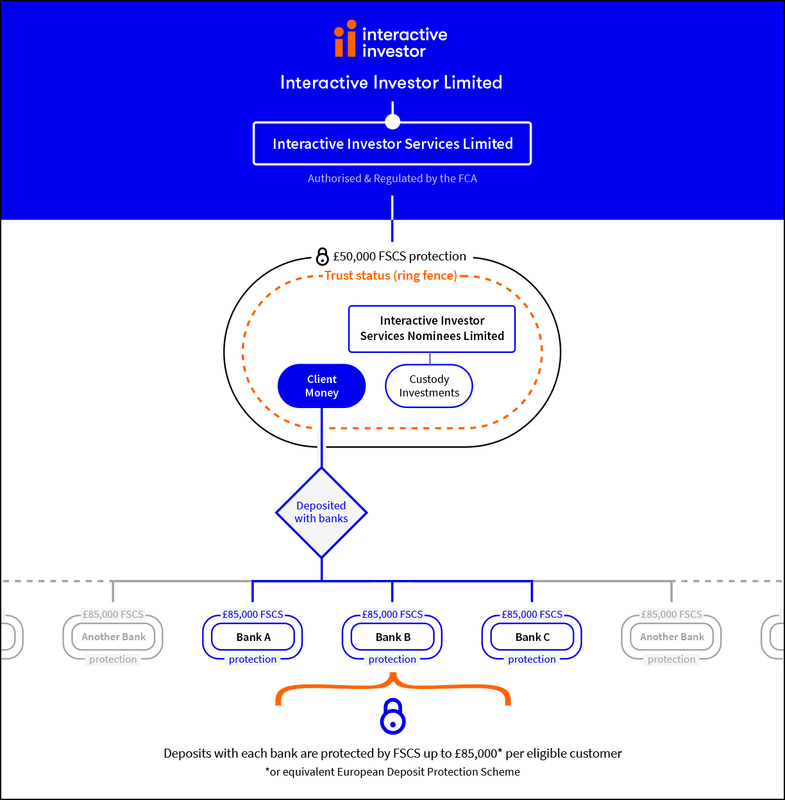 This service is provided by Interactive Investor Services Limited, which is authorised and regulated by the FCA. Your legal agreement is with this company and your investments are registered in the name of Interactive Investor Nominee Services Limited. Interactive Investor Services Limited does not operate as a bank, does not have any exposure to under-performing assets (including sub-prime) and does not lend any of the stock it holds for customers. Your investments are held with Interactive Investor Services Limited and registered in the name of Interactive Investor Services Nominees Limited, or other appointed custodian. Investments held in this way are afforded ‘trust status’ which means that in the event of the firm becoming insolvent your assets are protected from the firm’s creditors. Any money (cash) held in your account is treated as ‘client money’ as defined by the FCA. This means your money is held separately from the firm’s own corporate funds, in bank accounts specially designated as holding client money. Money held in these bank accounts is afforded ‘trust status’ which means that in the event of the firm becoming insolvent your money is protected from the firm’s creditors. We carry out due diligence on any banks we propose to hold client money with, we diversify the money we hold to ensure that clients’ money is not exposed to a single bank, and we only place money with institutions which are covered by the UK FSCS deposit protection scheme, or by a similar European scheme. In the event one of these banks were to fail you would be able to make a compensation claim through the relevant deposit protection scheme. For deposits held in the UK this is the FSCS deposit protection scheme and the current compensation limit is £85,000. Compensation limits apply per person so any claim for compensation would need to include any deposits you hold directly with the same institution. We operate robust policies, procedures and controls to ensure our records of your assets are accurate. Reconciliations are carried out on a regular basis to ensure that the assets being held correspond with your account records. These arrangements are subject to regular oversight by the firm’s Compliance and Risk teams. These arrangements are further subject to formal review by our external Auditors on an annual basis. The Auditor subsequently reports its assessment of the firm’s compliance with its obligations to the FCA. In the event of Interactive Investor Services Limited being declared in default, and in the unlikely event of there being a shortfall between the assets held and your account balance, eligible customers would be protected by the FSCS. From April 1 2019, this scheme may pay compensation in respect of protected claims up to a maximum of £85,000 per claimant.